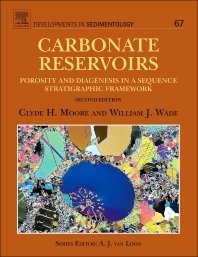 The 2nd Edition of Carbonate Reservoirs aims to educate graduate students and industry professionals on the complexities of porosity evolution in carbonate reservoirs. In the intervening 12 years since the first edition, there have been numerous studies of value published that need to be recognized and incorporated in the topics discussed. A chapter on the impact of global tectonics and biological evolution on the carbonate system has been added to emphasize the effects of global earth processes and the changing nature of life on earth through Phanerozoic time on all aspects of the carbonate system. The centerpiece of this chapter—and easily the most important synthesis of carbonate concepts developed since the 2001 edition—is the discussion of the CATT hypothesis, an integrated global database bringing together stratigraphy, tectonics, global climate, oceanic geochemistry, carbonate platform characteristics, and biologic evolution in a common time framework. Another new chapter concerns naturally fractured carbonates, a subject of increasing importance, given recent technological developments in 3D seismic, reservoir modeling, and reservoir production techniques. If you want to have the broadest and most up to date view of reservoir carbonate geology, this book is for you ! Just keep in mind that it's an intermediate level book without any aspect of modelization or advanced diagenesis study.